North Dayton company needs MACHINE OPERATORS on 1st shift. Please note: training hours are from 7am to 3:30pm for 1 week. Entry-level pay is $11/hr. Increases to $12 after 90 days with outstanding attendance. Operate production machinery – including CNC machines – and meet production standards. This is a growing company that is looking for workers interested in long-term careers. Please send your resume to recruiter@barrystaff.com. You can also call (937) 461-9732 and ask for Kerri. 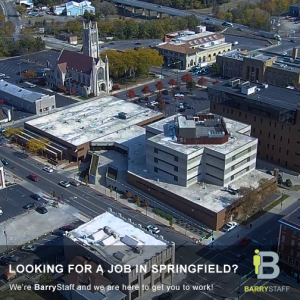 BARRYSTAFF has been putting people to work for over 30 years and remains the most successful locally-owned staffing agency in Dayton. With offices in Dayton, Piqua and Springfield, we specialize in industrial, clerical, and permanent placements. If you are looking for a new career, or if you are an employer looking for new talent, you are in the right place. Welcome to BARRYSTAFF. Let’s get to work! BARRYSTAFF is looking for corrugated machine operators and forklift drivers to work at a large plant in Springfield, OH. Starting pay is $13 per hour. The openings are on 2nd and 3rd shifts. Keep in mind that these are specific needs. We need corrugated machine operators — we do not need punch press operators. If you’re interested in a forklift position, you must have at least two years of experience in a factory setting. Warehouse experience, unfortunately, will not count. We are also looking for a Horizontal Milling Machine Operator. Salary starts at between $13 and $15 per hour. In this role, you will perform drilling and tapping on a horizontal manual mill. Potential employees must have experience with this type of machine, and must be mechanically inclined. Must be willing to learn and perfect the craft. Candidates must have experience using micrometers and calipers. He or she needs a clean background (no felonies) and their own transportation. The job search can be a pain. That’s why we’re here. Welcome to BARRYSTAFF. Let’s go to work. Please Email your resume to recruiter@barrystaff.com or call (937) 327-0025 and ask for Lew. 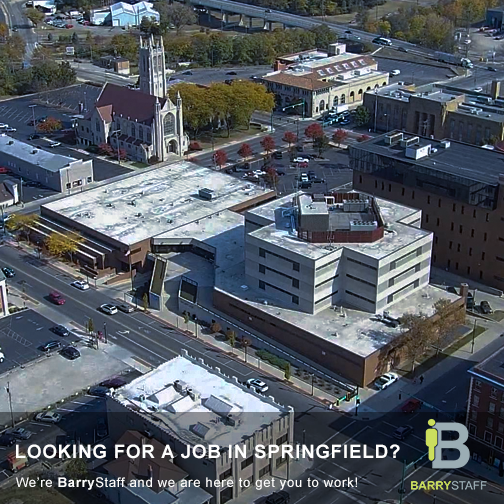 BARRYSTAFF is working on behalf of a prominent manufacturing facility in Springfield, OH to fill a number of open positions. These include machine operators, forklift operators and general laborers. Please send your resume to recruiter@barrystaff.com or call (937) 327-0025 and ask for Pam, Lew or Dawn. Learn to operate machines that make plastic parts for a variety of industries. In addition to operating modern, state-of-the-art machines, you’ll also trim, inspect, test, and pack parts for shipping. As you can imagine, attention to detail is extremely important! Attendance is vital too. This company allows no more than 3 occurrences during the probationary period. If your attendance, attitude, and work are deemed a good fit for the organization, then you’ll be offered a permanent position after 90 days. *Exceptional performers may be selected for early hire. At that time benefits such as medical, dental and vision insurance will kick in. There is a microwave, refrigerator and vending machines in the break area. Casual dress is OK … Jeans/Work Pants or Long Shorts, T-shirts (no spaghetti straps), and tennis shoes are fine. Hats are permitted as long as ears and neck are visible. Please send a resume to recruiter@barrystaff.com or call (937) 461-9732 and ask for Jessica. BARRYSTAFF is seeking an experienced and highly skilled Forklift Operator to work for a company in Springfield, OH. The prime function of this position is to provide support to the supply chain through collecting, loading, shipping and receiving warehouse products. Successful candidates will be responsible for operating technical equipment, optimizing loading for efficient logistics and supporting other warehouse functions to ensure optimal operation of the business. Note:Must be flexible for ALL shifts. There will be opportunities to earn overtime pay. Candidates must have a clean background is required and a high school diploma/GED. Must also pass a pre-employment drug screen. BARRYSTAFFis looking for machine operatorswith excellent work history that wants to join a team environment with great long-term potential. We have several positions available at facilities across Clark and Champaign counties. BARRYSTAFF is looking for machine operators and forklift operators for a prominent company in Springfield. Positions are available on all 3 shifts. Shifts are 12 hours long. We are also seeking machine helpers. Candidates must have a clean background and must pass a pre-employment drug screen. Must have reliable transportation.